Home / Modern Pest Blog / Can You Deduct Pest Control from Your Taxes? Can You Deduct Pest Control from Your Taxes? There are certain circumstances where your pest control costs can be deducted from your taxes. It’s always a good idea to check with a tax professional to make sure you’re getting the correct deductions. But if you have a home office, own rental property, or own a business, chances are you can deduct at least some of your pest control expenses. If you have a home office, there are two categories designated by the IRS: direct expenses and indirect expenses. Pest control would qualify as an indirect expense. It benefits your entire home, which includes your office plus your personal space. You can only deduct the home office percentage of the total cost of your pest control. Your home is 2,000 square feet, and your office is 200 square feet of that. You paid $100 for pest control this year. Therefore, (200/2,000) x $100 = $10 that you can deduct for your home office. Stay ahead of pests with preventative pest control for your home office or business. Click here to schedule service with Modern Pest today! 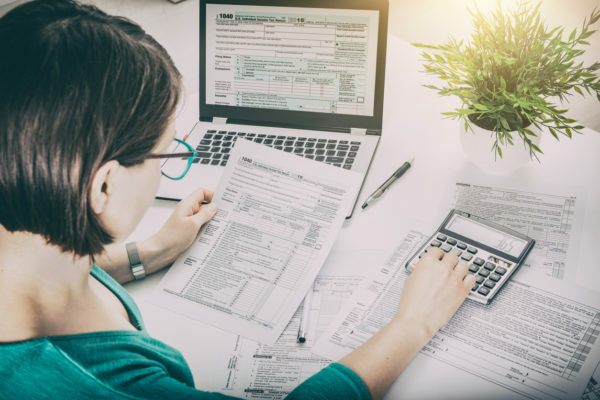 If you own a rental property, the IRS allows you to deduct ordinary and necessary expenses required to manage, conserve, or maintain property that you rent to others. You can still deduct these expenses if your property is vacant, as long as you’re trying to rent it. Pest control qualifies as an ordinary and necessary expense. If you own a business, the same idea applies. Pest control would qualify as an ordinary and necessary expense, so you could deduct the cost under maintenance. Expenses can only be deducted in the year they are paid, even if the service was for the previous year. So, if you had pest control services in December 2018 but didn’t pay the bill until January 2019, you can only deduct the expense on your 2019 tax return. Modern Pest’s Homecare residential services can protect your home and home office from various pests. Our ecocare commercial services can protect your business, whether it’s a rental property, doctor’s office, restaurant, or anything else. And you can likely deduct some or all of the cost from your taxes. Keep your home and business protected from pests year-round with Modern Pest. Call us today at 1-800-323-7378 for more information or click here to schedule service. And click these links to learn more about Homecare residential services and ecocare commercial services.